Sejak dari hari Jum’at pagi hatiku sudah galau. Karena apa yang aku inginkan tidak kesaimpaian. Orang yang kujemput diantar pulang oleh orang lain. Lelah aku menunggu, darppagi hingga sore hari demi dia. Akan tetapi ia bersuka ria dengan teman-temannya. Apa pun yang diperintahkan dan yang dipintanya semuanya sudah aku penuhi. Tapi, apa balasannya bagiku. Memang, aku mengharapkan pamrih atau pun balasan darimu. Aku mengharapkan ucapan terima kasih darimu. Aku juga mengharapkan pengertianmu seperti aku yang perhatian kepadamu. Aku mengharapkan cinta dan kasih sayangmu, sebagaimana aku mencintai dan menyayangimu. Aku mengharapkan segalanya darimu,wahai bidadariku. Pikiranku tidak tenang. Pikiranku tidak karuan. Kacau-balau, lintang-pungkang. Tega kau buat aku seperti ini. Pengorbananku kepadamu hanya angin lalu bagimu. Aku bagimu hanya batu loncatanmu untuk kau mendapatkan orang lain yang lebih sempurna dari aku. Ketika aku dekat denganmu, kau menghindar dari aku. Ketika aku mencolek pipimu, kau sapu bekas tanganku. Seolah-olah aku ini najis di hatimu. Seolah-olah aku ini barang yang kotor dan membawa virus. Aku tahu, aku memang tidak sempurna. Aku memang kadaluarsa dan miharsa. Aku memang hina, papa kedana dan buruk rupa. Sedangkan kau cantik molek bak putri kayangan. Sedangkan kau cantik mempesona ibarat putri raja dari Hindia. Sedangkan kau jelita anggun mempesona. Kau meluluh lantakkan setiap mata kumbang yang berada diluar istana. Mereka luluh dan mengataka cinta kepadamu juwitaku. Arjuna akan melamarmu. Sedangkan aku, si Hanoman, akan jauh meninggalkanmu. Pikiranku kacau. Aku nyanyok. Jangan buat aku seperti ini “D”. Aku mencintaimu. Aku menyayangimu. Aku mengasihimu. Aku membutuhkanmu. Aku mendambakanmu. Aku mengharapkanmu. Aku ingin hidup bersamamu di dunia ini dan di akhirat nanti. Tolonglah cintai aku. Tolonglah sayangi aku. Tolonglah kasihi aku. Tolonglah dambakan aku juga. Karena aku adalah laki-laki yang terbaik bagimu di dunia ini. Sejak dari kecil kau ku bela dan kujaga. Tolonglah... pelihara aku... agar aku tidak nyanyok lagi. General Van Den Bost is bury in the Pemangkat Citi, Sambas, Indonesia. The tomb of the Dutch Commander is divided into seven. 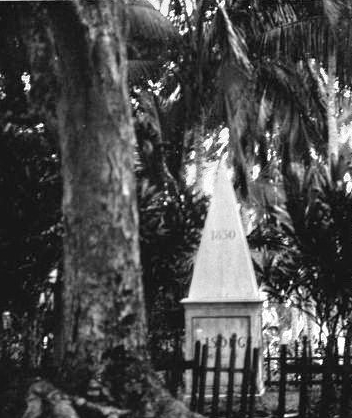 The body of Van Den Bost or OBOS in Bukit Tanjung Batu described as a cruel Dutch soldier who possesses the science of Rawarontek, to kill him must separate his body without a drop of blood falling to the ground and his body parts should be buried in the land separated by the Sea. In addition to Tanjung Batu other body parts are on the mountain Kalangbau. Jendral Van Den Bost di kubur di Kota Pemangkat, Sambas, Indonesia. Adanya makam Panglima Belanda yang dibagi tujuh. Tubuh Van Den Bost atau OBOS di Bukit Tanjung Batu yang diceritakan sebagai tentara Belanda bengis yang memiliki ilmu Rawarontek, untuk membunuhnya harus memisahkan tubuhnya tanpa setitik darah jatuh ke tanah dan bagian tubuhnya harus dikubur di daratan yang terpisah oleh Laut. Selain Tanjung batu bagian tubuh lainya ada di gunung Kalangbau. 7 Historic Sites in Sambas many people do not know, let alone children today. The 7 historical sites in Sambas have been forgotten by the Sambas people themselves. Many elderly people do not know about it, let alone children today. Who is wrong with all that? Are parents or government as education? Try the local mulok lessons put into elementary school students. And excavated all what is related to history, of course they know. Great nation is a nation that does not forget its history. Pemangkat is the densest district in Sambas district, West Kalimantan, Indonesia. In Tionghoa, this small town is called (Hakka: Pang kat, Pinyin: Bāng jiá). 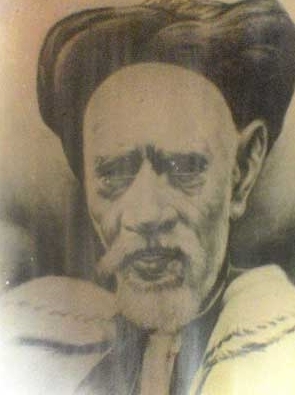 Name Pemangkat, according to the story taken from the name of the founder of this city that is Mr. Mangkat. It used to be the headquarters of Chinese immigrants who wanted to master Sambas "Thai Kong" China's largest golden union. In the Pemangkat there is also a memorial to the Dutch soldiers who died in the battle of 1850. And there is also the grave of one member of the body of Van Den Bost or OBOS in Bukit Tanjung Batu is told as a cruel Dutch soldiers who have knowledge Rawarontek, to kill him must separate his body without a speck the blood falls to the ground and the body part must be buried in the land separated by the Sea. In addition to Tanjung Batu other body parts are on the mountain Kalangbau. 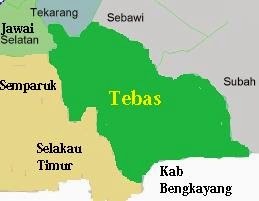 Tebas city is where the Sambas Sultanate opens forests, the name Tebas is because Sambas sultanate only cut or cut wood to establish the sultanate, but not so. They only slashed and then they went to Kota Bangun, and there they settled to build ampung called "Kota Bangun". Safeguard is a place of siege of troops in expelling the Chinese who want to occupy the Sambas Sultanate, assisted by soldiers from the Kingdom Mempawah, Pontianak and Portuguese. On Mount Selindung cannon ignited to drive Chinese-Chinese into the city, they finally collected in Singkawang (Sengkejong-Singawang name past). Kartiasa is a battleground of Sambas warriors with King Prabu Kertarejasa Jayawardana of Majapahit Kingdom in Java. This battle occurred because the king of Java wanted to seize the kingdom of Sambas kingdom named "Mustika Bintang" belonging to Queen Sepudak. To commemorate the battle, this place is called "kartiasa". Semparuk is where the Dutch troops enter Semparuk. Dutch soldiers numbered 300 people. The first to find or see the Dutch soldier was a Chinese local with his dialect "sampaklok-sampaklok-sampaklok". Sampaklok means 300 login. Dialih language in Malay or Indonesian language becomes semparuk. Sebatu 'or Sebatok is where the sinking of Dutch ships that want to go to Sambas because it is blocked by stones in the river. Because of the stupidity of the captain specify the stone is still dibedal. Until the ship's searang is still there, which looks just the flagpole only. However, if the water again dry or receded, then clearly visible body ship in the river Sebatok. Sambas is the administrative center of Sambas District. 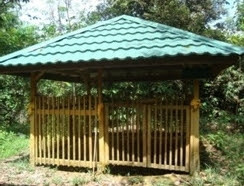 In Sambas there is a village called "Kampung Bersus". This scorched village was burned by Dutch soldiers at the direction of a traitor from Sambas's own son. Well, that's 7 Historic Sites in Sambas, and many others, for example there is a mosque used as a bulwark against the Dutch army, hinga now the mosque is still standing with magnificent. 7 of the 21 famous Sambas Heroes in Sambas, but many elementary school children, middle or upper secondary do not know it. Day 10 November as a day of heroes of government agencies will come to the grave of Sambas hero who is in Sungai Pinang to sow flowers. Maybe from the family also once came once a year to the tomb of the hero. Especially the new students today. They have never been introduced to Sambas hero itself. They only know cartoon characters, such as Saum The Shep, Barby, Boboboy, Upin and Ipin, and many other cartoon characters they know. Below are 7 great and powerful heroes besides the heroes or heroes who are 21 names written on their line. And perhaps many more great and famous Sambas heroes who the author does not know of its existence. Due to the lack of author's knowledge and the lack of coming that the author gets both print and original sources. There is not much history that the writers know about the seven people, who surely are fighters who have defended the independence of the Republic of Indonesia from the Dutch or Japanese colonialists. They have sacrificed their wealth and objects and lives for Sambas (Indonesia). In the past, actually the news of the proclamation of Indonesian independence has actually been known to some residents in Sambas through Sarawak Radio broadcasts East Malaysia. Since the Japanese army is still in the area, the important news only spreads to an individual. Many heroes who have fought for Indonesia that we should be proud of and our example. 7 Of the 21 Famous Sambas Heroes in Sambas, but Many Elementary School Children, Medium Size Upper Medium or DO NOT find out. Day 10 November as the day the heroes of the Government Agencies will Come to the Hero of Sambas Hero Who is in Sungai Pinang for review of the flower sowing. Perhaps From The Party Family Also Once Coming A Year Once To The Hero's Tomb. let alone the new protégé Now the initials. They have NEVER been introduced to their own Sambas iTU hero. which they know Only cartoon characters, such as Saum The Shep, Barby, Boboboy, Upin And Ipin, And Many other cartoon characters They know. Below are 7 great hero figures And Reliable besides characters OR heroes who are 21 orangutan names in their written dinisan. And perhaps many more great and famous Sambas heroes The author does NOT know whereabouts. BECAUSE the lack of writer's knowledge and lack of arrival which the author gets Both the print and the original source. There is not much history that the writer knows about the seven orangutans, surely they are warriors who have defended the independence of the Republic of Indonesia singers from colonists both the Dutch and Japanese. They Have Many Sacrificed Their Property And Things And For Their Sake For Sambas (Indonesia). Tempo was actually news of the proclamation of Indonesian Independence Actually It has been known some Orangutan Residents in Sambas through Sarawak Radio Serawak East Radio. BECAUSE the Japanese Army is still in the ITU Region, the Important News is only spread to an Individual. Many heroes who have fought for Indonesia are worthy of pride And we followed. 7 The uniqueness of Sambas Country may be exciting if we find out. And if we do not know it yet, you will be curious ... is he unique? The uniqueness or strangeness in our country is actually a lot, but we do not feel and we do not know its existence. We only know the uniqueness or peculiarities of other countries, rather than our own country. It is true that the saying "elephants are caught in the eye is invisible, while the lice across the seas are clearly visible". The occult kingdom called Negeri Paloh is indeed in reality. The system of government is in the form of a kingdom led by a king named Prince Sandi. small to the middle of the sea (beach) on the boat there is plenty of food. ANTAR AJONG is an indigenous ritual ceremony to plant rice that is carried out every year during the planting season. Dare Nandung is a very nice woman, not arrogant, with a very beautiful face and charming. 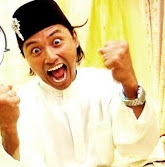 While Bujang Nadi is a good man, handsome and handsome. They were planted by his father alive in Bukit Sebedang with a single pole. The ancient objects are the relics of Raden Sulaiman (Sultan Muhammad Safiuddin), a gift from his father-in-law of Queen Sepudak, in the form of the above 3 guns. Geratak or Sabbo 'bridge is now just a name. The templates that had originally disappeared were torn down and replaced with new, more permanent ones. Well, that's 7 uniqueness about my country SAMBAS .... Come SAMBAS yes I am waiting for you.